The Detroit Lions defeated the New England Patriots, 26-10, concluding the third full week of action in the NFL. First-round pick Frank Ragnow had struggled in his first two games; however, in Week 3, the former Arkansas product had the luxury of facing a weak front seven that the Patriots put out and took full advantage. Ragnow was able to get consistent movement in the run game and had no issues in the passing game after being destroyed in Weeks 1 and 2. The other big player of note was second-round running back Kerryon Johnson, who finished the game as the Lions’ firs100-yard rusher in since 2013. His longest run was 15 yards, and he averaged over six yards a carry. Johnson was consistently able to get chunk yardage against a poor Patriots defense. Matt Patricia got the best of his former boss, and the Lions’ defense stifled New England throughout the night. They took away Brady’s favorite target in Gronkowski and held Brady to under 150 passing yards. Credit the Lions’ secondary, as they notched three pass breakups and forced Brady to hold the ball longer than he’d have liked. Detroit’s front seven was able to generate pressure when needed, coming away with sacks in clutch situations. Eli Harold recorded both sacks, but the likes of Romeo Okwara and Devon Kennard also contributed and were able to generate a strong pass-rush for the Lions. On a day that won’t be remembered as the greatest performance by the Pats, Jason McCourty was able to make quick tackles and not get beat for any significant gains. The only defensive lineman who showed that they could win in the passing game was Deatrich Wise Jr. He recorded the only sack for the Patriots’ defense and was consistently able to make plays in the run game, as well. It was obvious that New England’s offense lacked playmakers apart from tight end Rob Gronkowski. Tom Brady struggled to find open recievers and only threw for 133 yards on 26 attempts. Possession was dominated by the Lions, as New England wasn’t able to get a first down until the 3:55 mark in the second quarter. Gronkowski was double-teamed throughout most of the night, and Brady had to look to other options. Gronk ended the contest with four receptions for 51 yards, while New England’receiversrs only combined for four catches for 43 yards. The Patriots’ defense was a struggle all game, as the Lions were able to drive up and down all game long with little resistance by the New England defense. The Patriots’ offense had trouble moving the chains and staying on the field in the first half, which derailed for the rest of the game. Brady struggled to find open receivers and uncharacteristically forced throws into tight coverage. 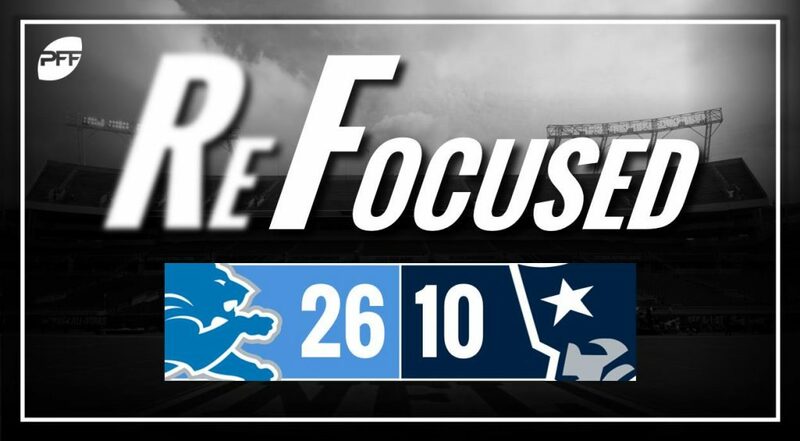 Credit the Lions with a solid game plan in a deserving win.